Hera is currently the subject of detailed design work, ahead of being presented to Europe’s space ministers at the Space19+ Ministerial Council at the end of this year, for launch in late 2023. 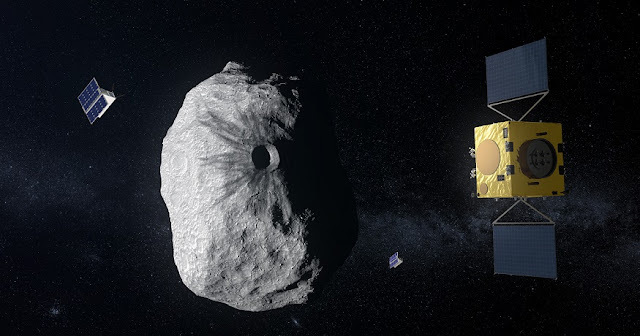 The spacecraft will survey a tiny 160-m diameter moon of the 780-m diameter Didymos asteroid, in the aftermath of a pioneering planetary defense experiment. Hera’s planetary defense purpose feels personal to Holger and the rest of the Institute team. The team recently met in the German town of Nördlingen, located inside a 24-km diameter crater, formed by an impacting binary asteroid just like Didymos and its moon an estimated 14 million years ago.